1981 Diamond Silver Rabbit Convertible - to be restored to bone stock (or as close as possible). Tried the ETKA no photos available and no parts description, but I suspect you could try a Carriage Bolt or flat headed bolt or a local visit to a hardware store to look for a similar nut.. It would bolt backwards or possible a Body Trim clip (plastic) would work. 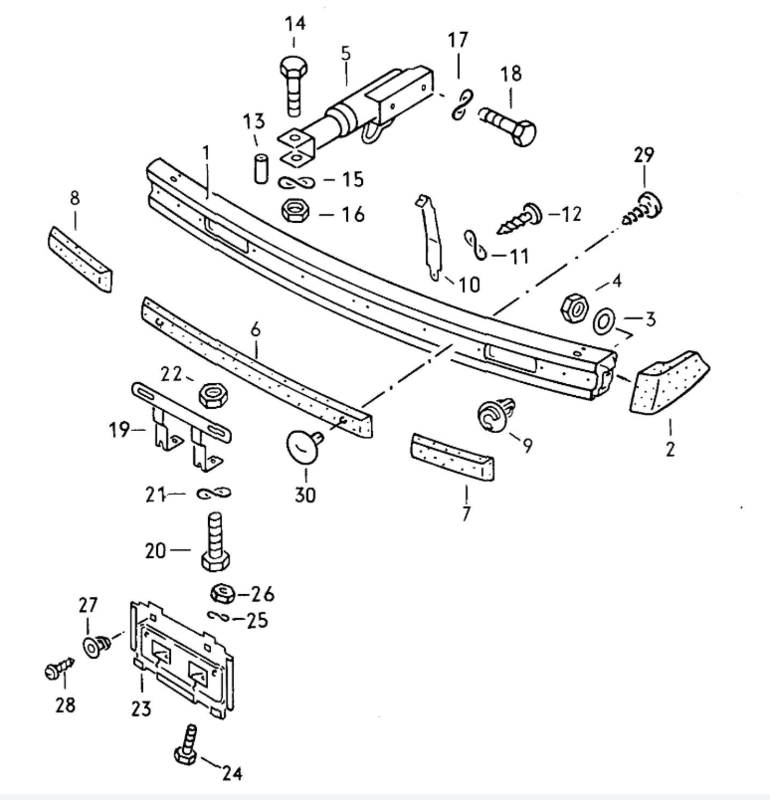 Most replacement parts from vendors like VW Heritage use a 2 sided double sticky tape like 3M weatherstrip tape. I thought about using a sticky tape solution. But I've noticed that the cap that originally was there also helps a little bit with holding it against the bumper. That's the main reason I was hoping I could find it. Part #29 would likely be easy to replace - any bolt that has the threading would do.